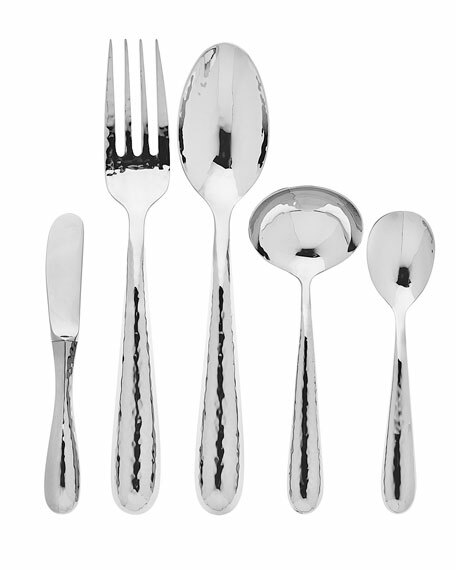 Five-piece set includes: spreader, serving fork, serving spoon, gravy ladle, and sugar spoon. Forged of 18-10 stainless steel. Ergonomically shaped handles, comfortable in the hand. For in-store inquiries, use sku #264154.